I started this blog with Dynasty to keep you artists and art material collectors in the know on good brushes and the differences in the brushes that Dynasty offers. In light of that, I've shared some brush tips and artists' tips on using brushes. But, no artist lives by the brush alone! Knowing what other good materials are out there and understanding how they work, how they are made and who makes them is important in creating great fine art. So, I thought I'd share with you some of the other art material blogs that I follow. This list is definitely not comprehensive and I'll add to it as blogs are created and come to my attention. If you have a favorite art blog, please let us know! Utrecht is both a manufacturer of art materials and a retailer, with stores located all over the United States. Matthew Kinsey was one of our featured artists a few weeks back, working at Utrecht as their technical resource guru and material expert. Gamblin Artist Colors makes high quality oil paints, mediums and inks for artists. Scott Gellatly, a featured artist here on Dynasty, is the Product Manager at Gamblin and author, sharing current Gamblin events, competitions and artists using their products in the online newsletter. Primarily a paper manufacturer of all types of artist papers, including Bristol, Drawing, Sketching and Watercolor. William Rose has work featured on some of their 400 series pads. Their blog features workshops, technical information and product details. Small oil paint company producing high quality oil paints. 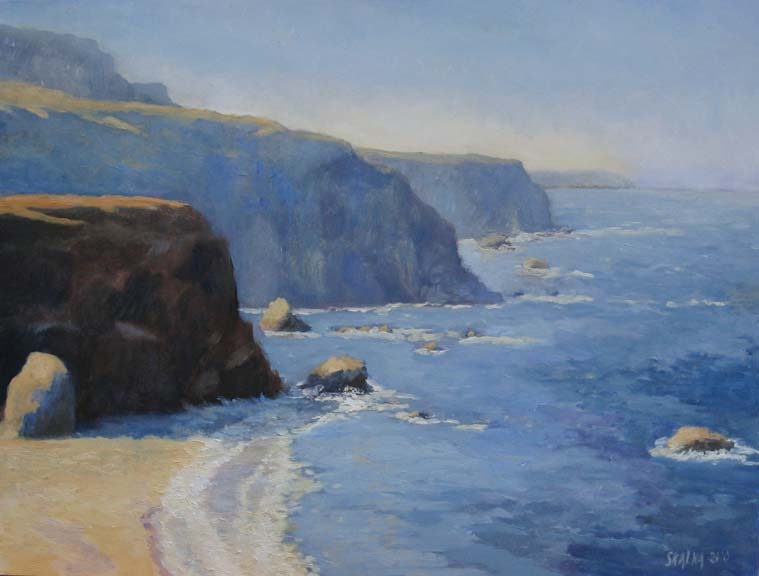 This blog is written by oil paint technical expert and artist, Sarah Sands. She shares pigment and technical information about the paint as well as takes questions on the blog. Colored pencil and pastel manufacturer of quality, soft lead pencils and blenders. This blog is about artists and the materials they use. Small company selling traditional painting and drawing supplies, paints and pigments. George O'Hanlon writes both of the blogs on both pigment history, use and painting techniques. A new blog from Michael Skalka, about the history of pigments and the use in historical art from both an artist's and conservator's perspective. Michael Skalka would know about brushes, as he manages a collection of several hundred, has researched art materials for years, works with many art material manufacturers and conservators and paints in his spare time. Michael is the Conservation Administrator at the National Gallery of Art in Washington, D.C., working in the art industry for more than 25 years. With his own background in art history and museum studies, Michael pursued gallery work out of graduate school and found his interest in art materials piqued with the contacts he has made in the industry. Getting to know conservators, manufacturers and material experts at NAMTA, ASTM and conservation seminars has not only given Michael expertise in art materials but also enhanced his own painting. 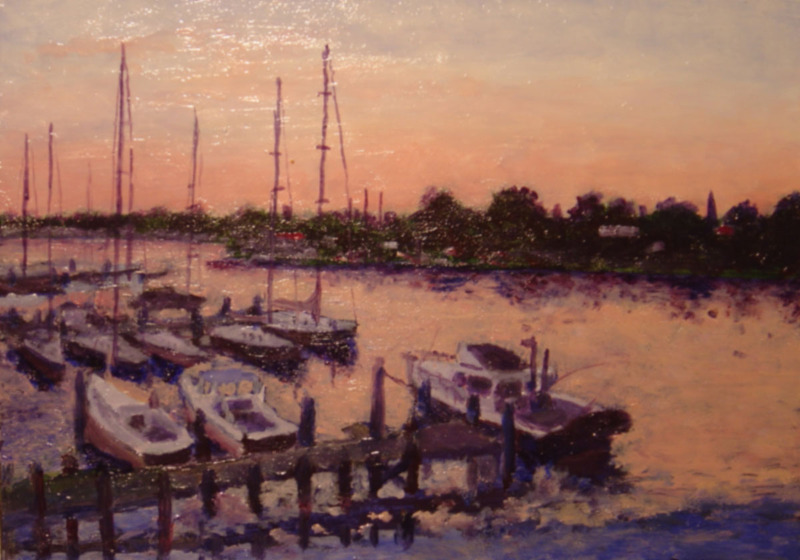 Michael started painting during high school, a summer art class studying plein air in oils. He had no formal training outside of the class, but continued to paint throughout college, stopping once work, family and other interests came into play. It wasn't until his work at the National Gallery that he took it up again with Ross Merrill, the previous Head of Conservation at the National Gallery. Together they were involved in plein air painting and outings with MAPAPA, the Mid-Atlantic Plein-Air Painters Association. Michael has now been with the organization as a member and on the board as well as painting quite a bit on the west coast. Finding landscapes to be his preference, Michael steers towards oils and sometimes watercolors as they have given him the working time he needs for warm coastal weather. He has always had an interest in how things are made, and Michael has taken advantage of his time and connections within the art industry, getting to know companies that make the products, reading as much as he could and attending lectures or ASTM meetings to get to know these products better. 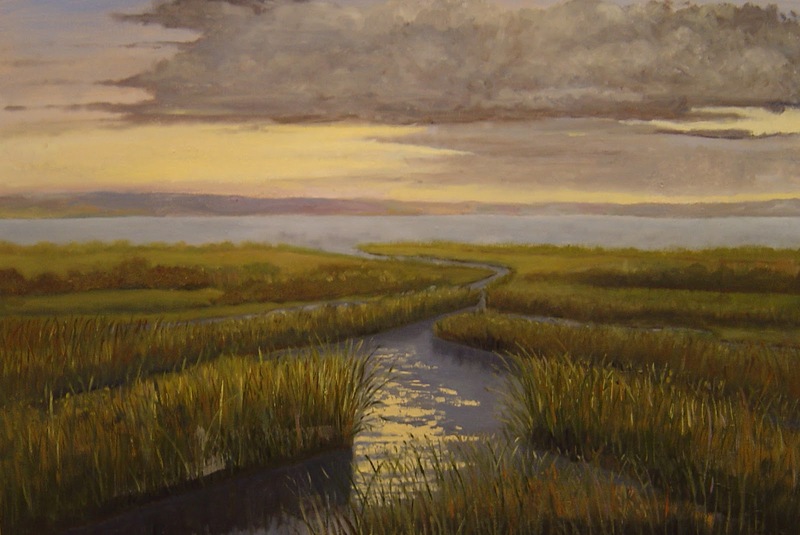 With his understanding of materials, paints and brushes in particular, Michael has been able to educate other artists and historians in the field as well as steer his own art work. Since Michael works primarily in oils, he leans towards natural bristle brushes for his work, sometimes leaning into the sables for the softer details. Flats and filberts primarily work for his plein air, laying in the underpainting and using smaller sizes for some of the finishing details. Michael chooses his brushes by how they deliver paint, rather than just the feel of the brush in his hand. He doesn't look at just the type of hair that a brush contains, but rather takes into consideration that any hair, synthetic, natural or combination, might provide the end result he desires. In light of that, when choosing a brush from the store, he looks at the chiseled edge, the spring it provides and whether the brush has a large belly for holding paint. He also considers the handle, whether or not it is coated, comfortable in his hand and how well the ferrule is attached. It is a lot to consider, but choosing quality, putting the brushes into circulation, and keeping them clean means that he has brushes over 40 years old that are still in great condition. Michael recommends buying quality when purchasing brushes by leaning towards brands that are well established and have a reputation for quality. It can be tempting to purchase the cheapest materials, not knowing what will work, especially if you are new to painting. However, buying better quality is not only going to improve one's painting and practice, but the brushes will last longer. Purchase flats, rounds and filberts to start, sizes and hairs depending on the medium. "A few riggers and some short flat brushes work well for putting in details. Some of the novelty shape brushes can be great time savers," Michael explains. Also consider buying brushes for finishing work, like glazes and varnishes. Most importantly, clean brushes after using them. FM Brush, the parent of Dynasty Brush, has donated a large selection of their highest quality brushes, the Black Gold line, to the Modern Art Materials Collection. These brushes will be cataloged and archived with the National Gallery for conservators, researchers and scientists. Dynasty has several patented brushes as well as patents pending on several brushes. You can see many of these unique designs already in this blog or on the website as well as video demonstrations by artists if you aren't already familiar with the Black Gold Specialty brushes. Most of the patents are in the designs of Black Gold brushes, including the Fandango, which means "go & dance". The Fandango is an incredibly soft oval shaped fan brush. It is extremely light and almost feathery in weight, making it ideal for blending, hair or fur details, or foliage. It can create sharp, wispy lines and still holds a lot of fluid, considering there are layers of hairs to create the tuft. Colorado artist Colette Pitcher is one of those artists that can just about do it all. 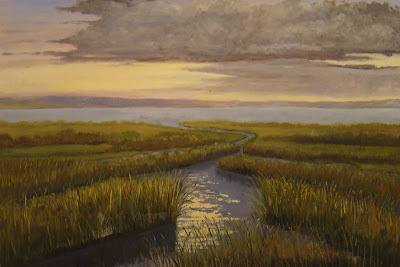 Not only is she proficient in both acrylic and watercolor, but she has written books on both, "Watercolor for Dummies" and "Acrylics for Dummies", produced how-to videos, teaches ongoing workshops on both, and started the "Showcase Art Center" in Greeley, Colorado with art classes, galleries and supplies. Not to mention she finds time to paint and creates life size bronze sculpture with her husband, putting in an installation in New York this month for a memorial of 9-11 on Long Island. Colette began her work out of college as a professional artist, working as a graphic designer, but gradually transitioned into her own businesses. 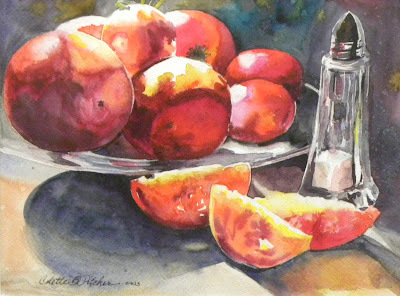 She chose watercolor as her preferred medium because of its unique challenges. "It takes time to master," she says. Colette leans towards the Watercolor Medley series from Dynasty for her work, because the brushes have a quality point, plenty of spring and a large belly for holding the fluid needed in watercolor. She can accomplish both the fine details and large washes with a number 12, for example. Within the Watercolor Medley, there are several brush hairs to choose from, so an artist can have a preference as to what works better for their style. For students just starting out, as Colette explains in her books and videos, she recommends a round, script liners and a 1/2" flat. But, she also says that an artist should have plenty to choose from, so that the art represents the subject rather than looking specifically as though it is just a painting created with single flat brush. Art is better when the artist chooses better materials. In fact, Colette teaches that very principle in her workshops. "An easy way to improve your skill level is to purchase better materials; move up from student grade to professional grade. You never want to use materials that will frustrate you into giving up art," she explains. Later this month, Colette is flying to New York for the unveiling of a bronze sculpture, "Every Day a Hero" that she and her husband designed and built for remembering the first to respond on 9-11. You can read more about the sculpture and see videos of it being built here: rotarymemorial.com. When it comes to choosing what brushes to use, an artist has to consider the medium, their own style, and then look to what is available. With brushes, the first choice is bristle or hair. If the choice is hair, then the second choice is whether to use synthetic or natural. As the market develops, synthetics are becoming more durable, more realistic and more affordable. However, if you are a traditionalist, or just an interested party, the natural hair selection is something to consider and understand. I have created a table below outlining all of the types of the natural hair available, short descriptions and then the brushes from Dynasty that would work for those natural hair choices. Dynasty has high standards for it's brushes, taking pride in protecting our environment and endangered species, so any hairs used in our natural brushes are taken as a by-product of another industry from animals not endangered. However, the synthetics mentioned as substitutes for natural hairs are specifically engineered to match those hairs, holding true to the properties of those animals. You'll be amazed at the resulting brushes. Badger oil Hairs are thinner at roots with bellies near the tip providing a bushy appearance. Known for blending oils, very soft tufts. The best are high mountain badger, found near the Pyrenees; however, badger hair is found worldwide. (bristle) oil & acrylic; house painting Bristles are technically hog hair. Bristles are flagged or split at the ends; high quality brushes are interlocked with natural bristles curving inward. Only natural or bleached white bristles are used for fine artist brushes. The highest quality are from the Chunking region in China. Camel watercolor Not actually from camel, but rather from a mix of other animals: squirrel, goat, ox or pony. Fitch oil & porcelain painting Closely related to the Ferret, a member of the weasel family. Very fine hair, highly resilient conical shape, similar in quality to the red sable. Goat watercolor mops & dry media Wavy along the entire hair length. Two types available, the single drawn has the natural tip and the double drawn are hairs cut in half, so they lose the natural tip. Taken from all parts of the animal, exported from China. Kolinsky Sable oil & watercolor Highest quality hair available, large belly and long hairs hold lost of fluid in painting. Only the tail hairs from the Kolinsky are used, male hairs are longer than females and more resilient. The highest quality brushes are made solely from male. The golden brown hairs have excellent snap and resilience. Mongoose oil & acrylic Strong resilient pointed hairs that wear well, but not fine enough for watercolor. Also known as royal sable or crown sable. Since Mongoose is endangered, no mongoose hair is used in FM Brushes. Ox lettering & watercolor Hair from the insides of cow's ears. It is cylindrical, not coming to a point, but resilient and has a strong snap. Primarily used for flat brushes or mixed with squirrel for sign painting. Pony or Horse-body acrylic, tempera, watercolor Cylindrical hair that is more expensive than goat, but less than squirrel. Has a dull matte finish but strong and soft, though not as strong as goat. It does not point well, and often used for school grade brushes or cosmetic brushes. Sabeline watercolor & calligraphy Ox hair that has been bleached and dyed to resemble red sable. Squirrel watercolor, ink & calligraphy Grey Squirrel is from Russia and in short supply; Brown Squirrel is usually for school grade brushes, fine thin hairs that point well. Very little snap. Weasel, Pahmi or Red Sable oil or acrylic Similar in working properties to Kolinsky sable, but shorter hairs and more affordable. Only weasel hair from Asia is long enough for brush-making; like Kolinsky, they have conical shapes and good points. Modern artist brushes might not be made that differently than brushes from the turn of the century or earlier; they are still created by hand, measuring and placing hairs in the ferrule gently, crimping ferrules to wooden handles. Each brush at FM Brush, the parent company of Dynasty, is created with precision, patience, and quality control in every step. Stacks of ferrules and hair wait to be assembled. Hair is imported from all over the world because some of the best natural hair is dressed in Europe or Asia and some of the best synthetic hairs are made in Thailand or Japan. FM Brush has been working with some of the same hair suppliers since 1935; these people know the business. Brush makers use hair measured by weight to carefully place into the ferrule, shaping by hand or by cup, clamping the ferrule and moving to the next one. Ferrules and tufts are measured for accuracy and moved along to the next step. Another brush maker applies a warm adhesive to each ferrule and bakes the heads so that the hairs are tightly sealed within. These brush heads meet up with the prepared handles later on. Each handle, whether made in the States or imported from the sister Thailand factory are hand stamped or imprinted with the type of brush, the series and the Dynasty name. Then the handles are crimped into the ferrule, always double or triple crimped for a secure fit. At each step, the brush makers will check the previous step for consistency, so the quality control is superior. Once the brushes are crimped, they are packaged and then prepared for shipping. FM Brush not only makes the Dynasty line, but also a full cosmetic line, Beauty Strokes, and quite a few private label brushes. So, there are thousands being created and processed every day. For more information on specific brushes made by FM, check out their full website: FMBrush.com. To learn more about the brushes FM creates for fine artists, refer to the new Brush Highlights on the blog or the Dynasty website. There are styluses on the market and even a few brushes, but I was able to get in a sneak peek test while I was at the factory on Monday and this brush is AMAZING. With so many options for digital drawing and painting, and so many tablets, it is time for an artist brush. The difference between using a synthetic hair brush on a tablet and my fingers is the same as trying to fingerpaint instead of using a brush with oils. There is no lag or drag with the brush like there is with my finger. I wouldn't have noticed the finger drag until I picked up the brush and felt how smooth it moved across the screen. I cannot wait for these to be released in early summer. The bristles are synthetic ionic, able to hold a small charge like our fingertips so the tablet or phone screen responds. What makes the Dynasty brush stylus unique is that it is retractable to protect the brush when not in use, and attractive to boot! So far, I've only tried the brush on a few standard applications on the iPad, but I'll be downloading a few more drawing applications this weekend. With the ability to print out my work and then create mixed media works, what more could I want as an artist and art material fan? So tell me, what are your favorite drawing applications?